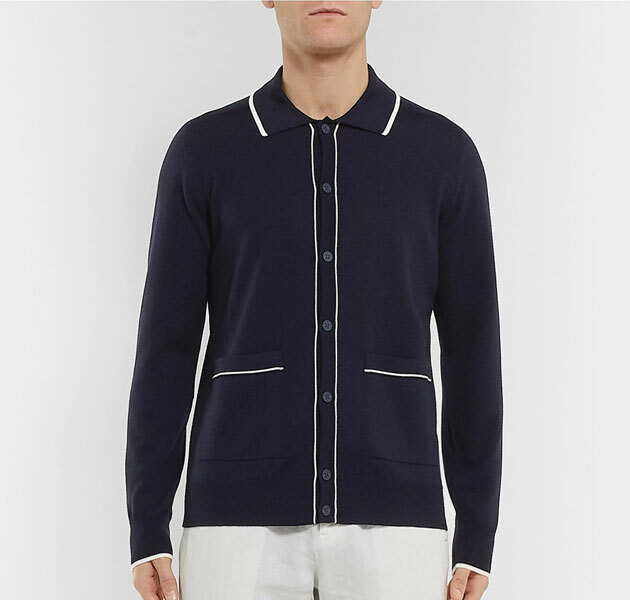 Not cheap, but that doesn’t stop me appreciating this Orlebar Brown slim-fit merino wool cardigan. If you have the money, do check it out now. 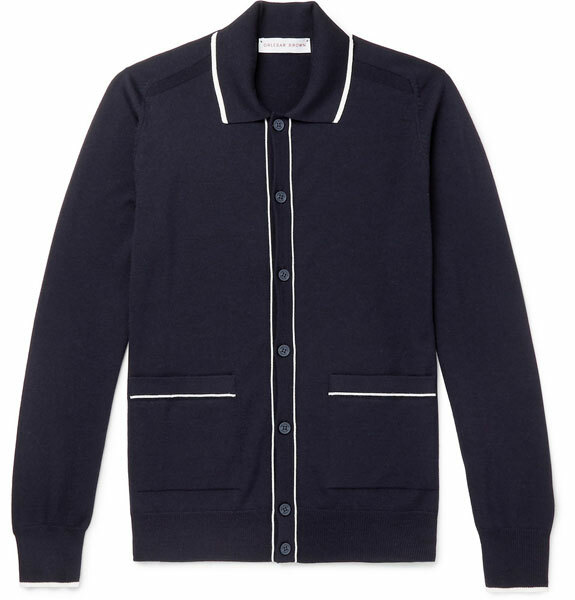 If you don’t, there will be a sizeable summer sale at Mr Porter in a few months, so you might get lucky then. Saying that, you might not get your size and this might not drop in. It’s really a game of chance. But as it stands, this is quite an outlay, even if it is a lovely piece of knitwear. 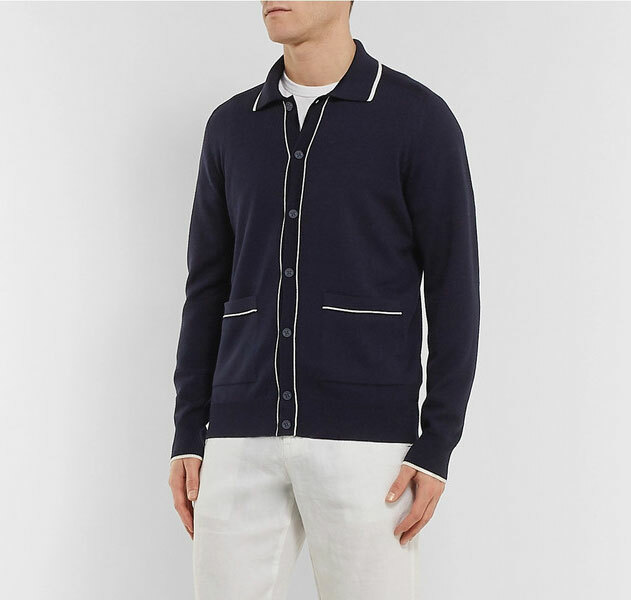 Spun from a ‘soft’ merino wool, this cardigan has a slim cut with ribbed trims to prevent it from stretching out of shape. 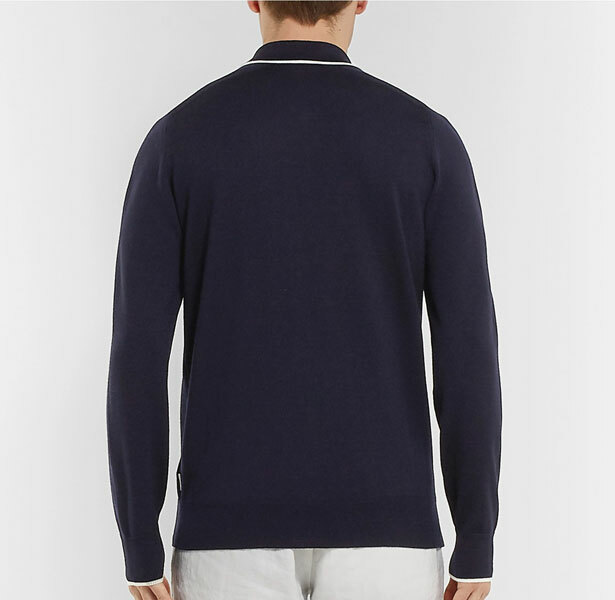 The pointed collar and contrast tipping make it stand out from the crowd, as do the front patch pockets and the front button fastening. You are looking at £295 if you want this, but as I said, patience might pay off if you can wait a few months.